It’s crazy to think that the only innovation to luggage, since the introduction of wheels in 1970, has been a few advances in materials used in their construction. It’s no wonder that suitcases can be a frustrating part of travel, even today! 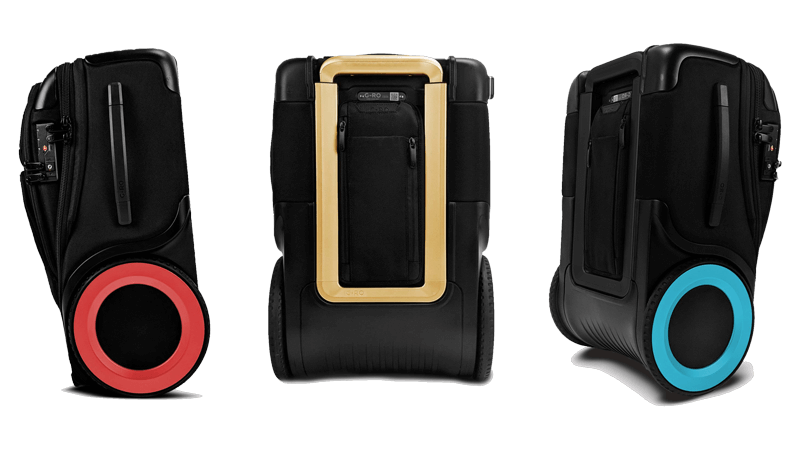 Luckily, ‘smart’ technology is giving luggage the makeover it desperately needs. There’s a wide range of smart luggage available on the market, including features like GPS or Bluetooth tracking (so you won’t ever lose your luggage again), remote locking, built-in weigh scales, USB ports for device charging, and many other ‘smart’ components. 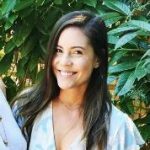 Whether you’re travelling for business, with kids, as a travel influencer or taking a spontaneous solo trip, there’s definitely a smart carry-on suitcase out there for your needs. Modern luggage technology and innovative design features relieve some of our most common baggage woes and are gradually transforming the way we travel in the process. Even simple engineering improvements like more durable 360° wheels and ergonomic handles make travelling easier and hassle-free. Important note: In the past few years, rechargeable lithium-ion batteries used in smart USB ports have been a cause for concern among airlines, due to the risk of catching fire in cargo fields. Most airlines have completely banned luggage without removable batteries—both for checked-in and carry-on items. Be sure to buy luggage with ejectable batteries to save yourself some trouble! Guidelines set out by WestJet and Air Canada, informed by the Canadian Air Transport Security Authority (CATSA), state that they’ll allow smart luggage as a carry-on, as long as lithium ion batteries inside bags are completely turned off or removed. In order to check-in smart luggage, batteries must be removed beforehand and brought with the passenger into the cabin. If your luggage battery can’t be powered down or removed, the airline will refuse the bag. Check out our infographic to see which additional items you can carry on and which items you should leave at home! Are you constantly hopping from airport lounges to business class seats, all the while taking your workload with you? If so, then a carry-on suitcase with a built-in laptop stand, USB ports and a GPS tracker are all must-have features. Use the laptop stand while waiting to board your flight and the USB ports to make sure your mobile devices are always charged and ready to use. The fingerprint ID is also helpful, especially if you’re storing multiple devices, documents and any other expensive items in your bag. You wouldn’t want all those stolen! G-RO was the most successful luggage campaign in Kickstarter history.We love the longer handle and low-mass all-terrain wheels, which make it easy to bring with you anywhere. Use the USB port and GPS tracker to maximize utility while looking trendy for any business meeting or networking event. If you’re an early adopter, you’ll want a product that packs in as many features as it possibly can, so do your research to see which ones maximize tech perks. Look for options with GPS trackers, USB ports, removable batteries, fingerprint ID locks, built-in scales, proximity trackers, Bluetooth speakers and even a personal concierge! With all these features, your travel bag is going to become more like your new best travel buddy. Gone are the days of checking in your luggage when you get to the airport—Rimowa is here to save the day—and previous time! Their built-in e-paper luggage tag can be checked in online through a cellphone-enabled Bluetooth connection, to save you from those long lines at check in. You’re constantly destination-hopping and both style and functionality are extremely important to you— there’s a very good chance your luggage will make cameos on social media, after all! With the amount of time you spend online, technology in your luggage will be essential. When flying from airport to airport, smart luggage can help make your day-to-day blogging life a little bit easier, while always looking trendy and Instagram-ready. Away is the epitome of minimal technical luggage. 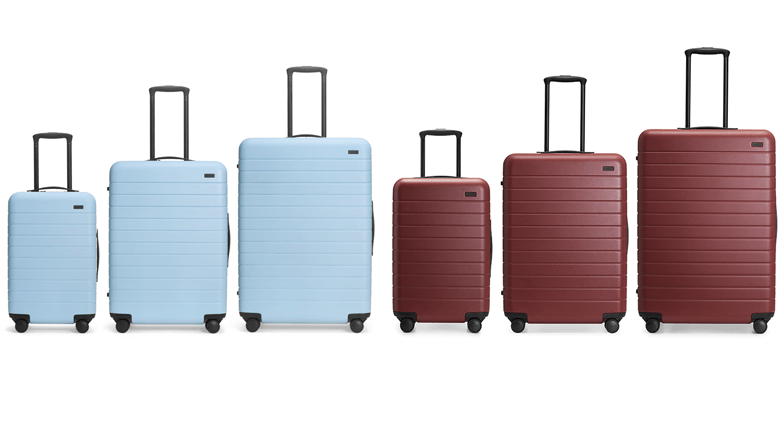 Available in a variety of colours, they include an interior compression system, so you don’t have to worry about over-packing, TSA-approved locks, removable laundry bags, removable batteries and 360° wheels for smooth rolling. And as a bonus, the hard-shell case is pretty much indestructible! 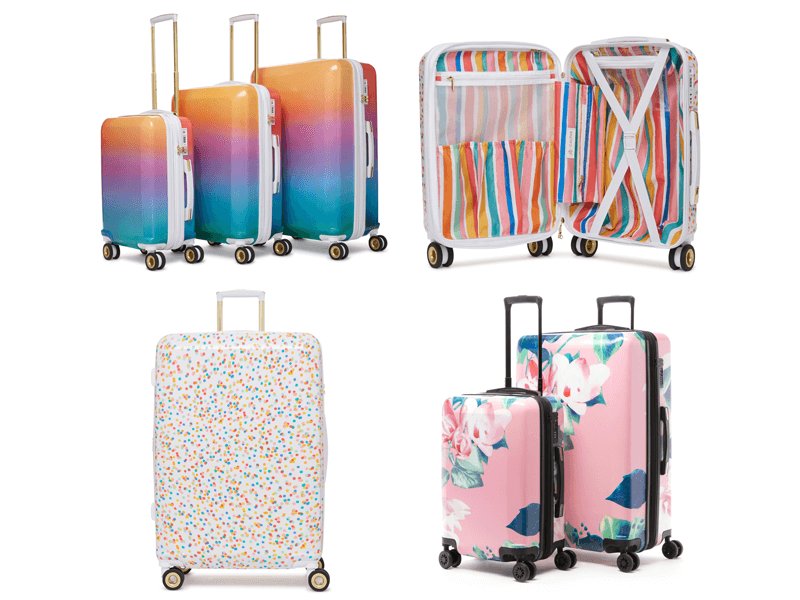 Very much similar to Away luggages, but with plenty more options, Calpak offers a variety of colours and designs sure to suit your social media branding needs. You need a carry-on bag that’s sturdy but with lots of room to keep all your belongings, as well as your kids’ stuff. Features that can keep your kids amused are also helpful! A built-in laptop tray and USB ports are great to station kids in one place during layovers or even for parents to catch up on work while on holiday. A Bluetooth speaker can work with your devices as a portable home theatre or even make way for mini dance parties for lots of fun with your family! Sleek, stylish and space-saving, the Barracuda has a 360 degree rotating handle, so you can hold onto your suitcase no matter which direction you’re turned. The best part about Barracuda, though? It collapses down to 4 inches thick, so it’s easy to store on a clothing rack at your hotel or at home. You can even buy a family pack to save money per bag! Is it worth investing in a smart suitcase? If the airport is your second home and your old luggage frustrates you, then it may be time for an upgrade. Modern features will ease the process of travelling with your carry-on luggage, making it a useful companion instead of an unwanted one. When looking for a smart luggage, be aware of airline restrictions, as they’ve been forced to modify policies to accommodate the growing smart luggage trend. The smart luggage featured in this post range from $350-$500. 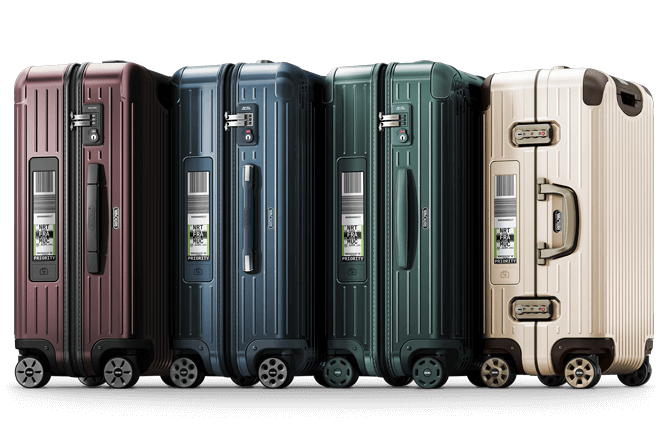 Carry-on suitcases by Briggs and Riley, Samsonite and Tumi can be anywhere between $250-$600 or more. The price depends on the durability and how new the bag is in the market. Travel technology may be advancing, but luggage isn’t immune to unexpected setbacks. For extra precaution, add Baggage Insurance to your trip. It provides the ultimate peace of mind in protecting your personal items from loss, damage, destruction and theft. So grab your new smart luggage along with your baggage insurance, and travel through airports and destinations with confidence and ease. Your luggage is no longer just a compartment to store your travel clothes; it’s a tool for making your journey one that’ll be worth taking.